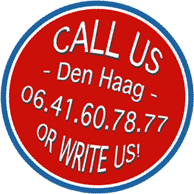 Our kitchen is located in Den Haag – Boomsluiterskade 312 – near Centraal Station. It is not a proper shop but we are soon going to make it into our version of a shop. Via our Facebook page and Twitter we shall announce what we have available the next day or even on the day itself – always in small quantities since we do not like to throw food away. Keep checking back for announcements and updates! Our number is +31 (0)6 41607877 and/or you can always send us an email to info@americanbakingcompany.com or fill out the below form and we’ll get back to you asap! !